There is no dearth of fashion shows in Delhi where a number of stars grace the ramp and surprise their fans in their stunning avatars. 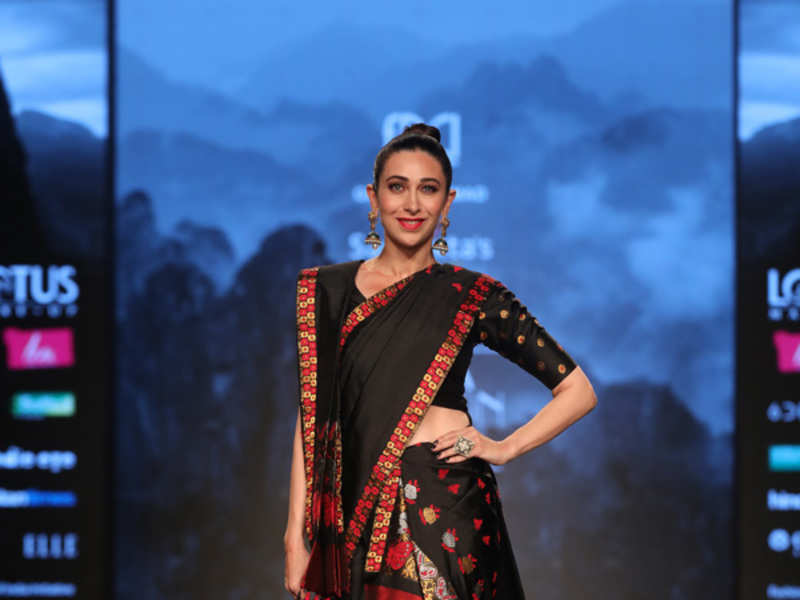 At one such show at a recently-concluded fashion week in Delhi actresses Rakul Preet Singh, Karishma Kapoor, Karishma Tanna and Shikha Talsania walked the ramp. The four actresses walked the ramp for different designers in one show and enjoyed their fashion outing in the city. Rakul Preet walked for designer Julie Shah, Karishma Tanna was the showstopper for designer duo Gauri and Kunal, Karishma Kapoor wore designs created by designer Sanjukta Dutta and Shikha Talsania walked the ramp for designer Prerna Adsul.